Vegan meals, sweets, beer, and wine—Madison may be the capital of the dairy state, but it makes a super getaway for vegans. Just hold the cheese. Nestled on an isthmus between two beautiful lakes, this Wisconsin city raises the bar for music in all kinds of genres as well as for urban and rural activities and cuisine that uses fresh, seasonal, and regional ingredients. I even saw a big red billboard in town announcing Madison Vegan’s new online restaurant guide. Prime: Madison: Fresh, Local Vegan Food by the Lakes. UW surrenders more images from the Tom Yin Lab. Below is a series of images released in July 2013 to People for the Ethical Treatment of Animals (PETA) under Wisconsin’s open records law. 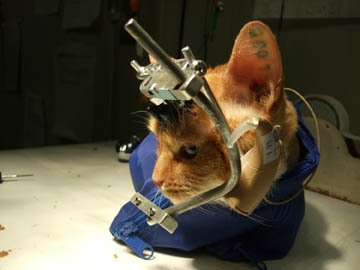 The images, from a procedure performed in 2009, show a surgical procedure to place a cochlear implant into a cat, the subject of a hearing study. Earlier images were used by PETA, an organization that objects to the use of all animal models in research, to misrepresent the clinical and technological value of the work, as well as the treatment and condition of the animals used in the study. We are posting the images to preempt their misuse and continued mischaracterization of a study that has demonstrated clinical and technological benefit for humans. Read the university’s full article here. See too: More images from the Yin Lab. UW’s response to criticism about its barbaric taxpayer-funded experiments on cats has been to distort, deny and dismiss the well-documented cruelty and to silence dissent. But the truth is out. According to records written in UW staff and faculty’s own hands, and captured with their own camera, cats at UW had their heads cut open, steel rods screwed to their skulls, electrodes implanted in their brains, and metal coils placed in their eyes. Some were deafened and had cochlear devices implanted into their ears. They suffered from infections and pain. That the government didn’t cite UW for this abuse speaks to weaknesses of animal protection laws, not morality or science. This isn’t helping people. None of this laboratory’s cochlear implant experiments on cats has ever been published in a scientific journal. Records show some couldn’t even be completed because the mutilated cats became too sick and were killed. UW’s approach to dealing with peoples’ objections has been to block emails from the public, to delete messages from its Facebook page, and to remove Board of Regents members’ contact information from its website. Despite UW’s shenanigans, hundreds of thousands of people have protested. The photos that show why are available for all to see at PETA.org/DoubleTrouble. 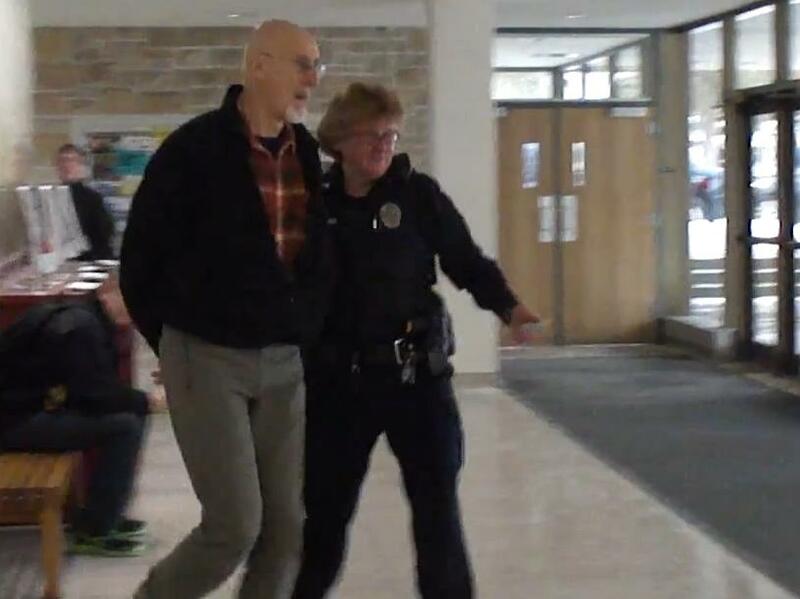 Jeremy Beckham: UW researcher distorts, dismisses cruelty to cats : Wsj.